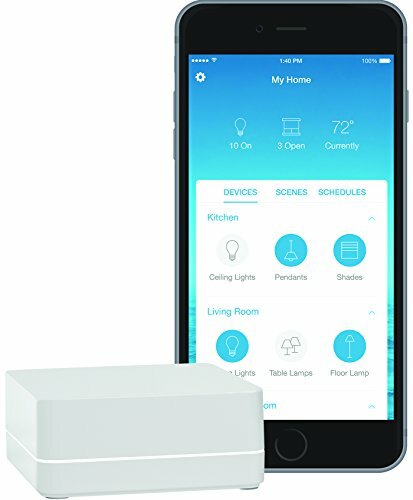 Everything you need to help you build the best smart home solution for your house. One of the main reasons I created GearBrain was to help simplify all this new emerging technology which can turn your house into a smart home. I found there was a ton of new products coming to market and no one was helping the consumer determine which were the right ones for their home. They also weren't helping consumers figure out where to start to build a smart home. Therefore, I am writing this article to help you learn where to start and how to build the right smart home system for your house. GearBrain has covered many of these areas and topics but now it's time to make it easy for you to find them. How To Make Your House A Smart Home: This article helps you understand the basics in building a smart home system. From B to Z: How Your Smart Home Speaks Wireless: This article explains the key wireless protocols you need to know when building a smart home. 5 Questions To Ask Before Purchasing a Smart Home System: This article will help you understand the different types of products you can get for your smart home. Here's Six Cool, Smart Home System Alternatives: This will help you learn more about the alternative smart home systems on the market today. What is IFTTT—and Why You Should Care: Learn how IFTTT (stands for If This Than That) can be used to control all of your connected devices no matter what type of connected devices you have in your smart home. 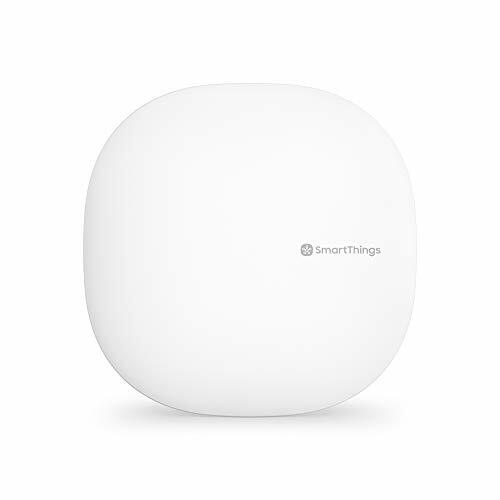 Best Smart Home Connected Hubs: GearBrain's list of the best connected hubs which can streamline and simplify your smart home by syncing all your connected devices together. 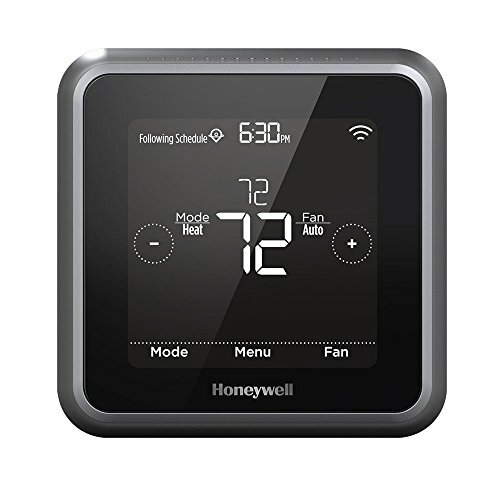 5 best places to shop for smart devices: If in the market to buy any of these new connected devices for the home, here is our recommendation on the 5 best retailers to help you find the right device or devices for your smart home. Which smart home hub is right for you? Everything you need to know - an article which will help you find the best smart home hub for your house. You will learn if Amazon Alexa is the best device to power your smart home or if you need a more dedicated hub or no hub at all. How to start your smart home with just $100: this article will help you get started in building a smart home on a very small budget. How to build a smart home for less than $400: this article will help you learn how to build a smart home on a budget of less than $400. You can see which are the key devices to help make your home smarter and save money. How to build a smart home for between $1,000 and $2,000: this is the game plan on building a smart home when money is not an issue. Smart Home Systems for Renters: If you rent a home and want to build a smart home, here are a few articles which can help you. Can renters fit a smart lock to their front door? This article will show you what you can do with smart locks on your rental property. The renter's guide to installing a wireless smart video doorbell: this article will show you how to install a wireless smart video doorbell in an apartment as well as show you how to remove it when you leave. Best smart security camera options for renters This article will provide you with a list of the best smart security camera options you can choose from to use in an apartment. 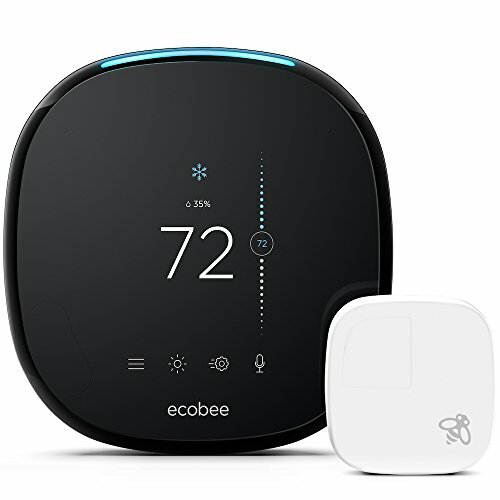 The best removable and landlord-friendly smart home tech for renters Do you want to buy smart home gadgets but don't own our home or dwelling? No worries. In this article, GearBrain can educate you on the connected devices which can be easily installed and then removed from your home when you decide to leave. Is the smart home market leaving apartments behind? With all the talk about smart homes, why isn't anyone talking about smart apartments? In this article, we help you understand how to use connected devices for apartments and the benefits they offer homeowners or renters. The best smart tech to secure an Airbnb Are you an Airbnb owner who is thinking of adding smart devices to your rental property? If so, check out this guide on the best smart gadgets we recommend for you to use in an Airbnb property. 7 IoT devices for the smallest of apartments Here is a list of the 7 must have IoT devices for apartments. Protect your home with these 8 smart security systems - a look at the best of breed smart home security and automation companies on the market. Home Security's Disruption Eruption: What You Need To Know: Here you will learn about the three different types of home security system options available for today's smart home. Will IoT Lock Down Your House Or Open The Door To Hackers? : This article will help you learn about the vulnerabilities of IoT devices and how to protect them from hackers. 5 Best Questions Around Smart Security Cameras: In case you just want to buy a single security video camera, here are a list of important questions you need to ask before you buy one. Nest Cam: One of the Best Smart Security Cameras: one of the best security cameras to consider. 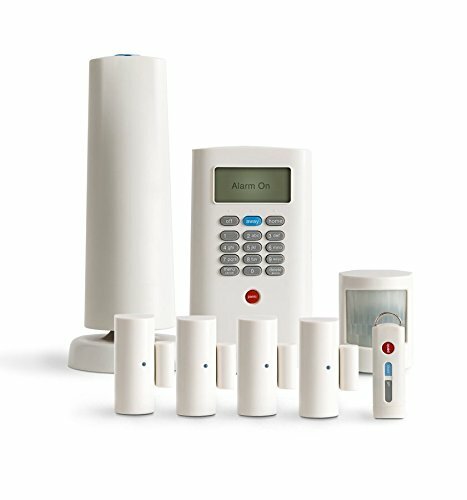 Best Smart Home Security Systems - This article will assist you in finding the best home security system based on your smart home needs. It provides names of the best home security systems for each of the home security system available today. 5 Best Questions To Ask Before Buying a Smart LED Bulb: Here are questions which can help you buy the right smart LED bulb for your smart home. Smart Light Bulbs Have A Big Achilles Heel: Learn what happens if you don't use smart LED bulbs correctly. 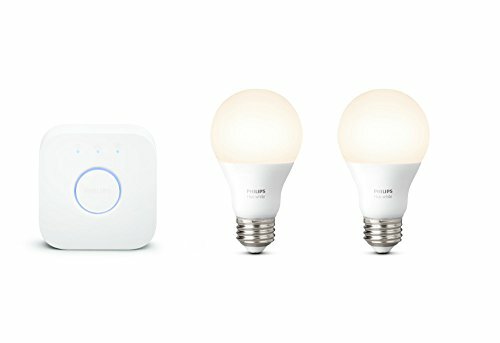 Smart Switches vs Smart Lights: Which is best solution? - did you know your home might not have the correct wiring to power the new connected devices? Learn about smart switches and smart lights and find out which is the best option for you to pursue to make your home smarter. Philips Hue Smart Bulbs Cast A Bright Glow: here is one of the best LED smart bulbs to consider. 6 smart light platforms to transform your home: a list of the 6 best smart LED lights and systems for you to choose for your smart home. 5 Smart Questions To Ask Before Buying a Smart Lock: Learn about smart locks and what you need to know before buying one. Smart Locks Get Smart About Making a Backup Plan: Learn how to set up a backup plan in case your smart lock doesn't work. 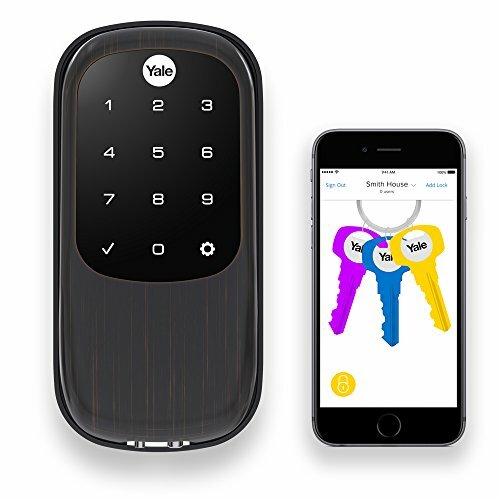 Understanding this prior to purchasing a smart lock is key. 5 Questions To Ask Before Buying A Smart Doorbell For Your Smart Home: If you want to get a video doorbell to go with your smart locks, this article will help understand how video doorbells work and what to know before you buy one. Best Smart Home Locks - here is a list of good smart locks to consider. Leak Detectors: Smart Leak Detectors Make You Aware If There's Water Water Everywhere: Water damage is the #1 insurance claim among homeowners. 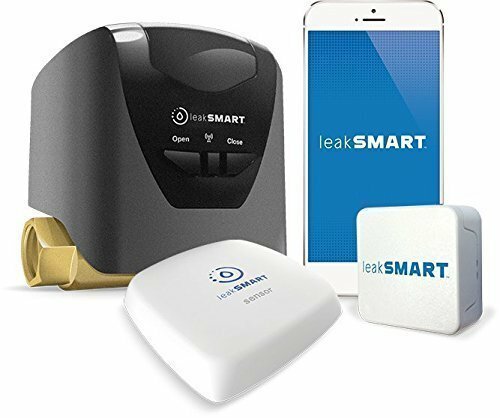 Learn about how they work and how you can integrate a leak detector into your smart home system. Also, check out Best water leak protectors. Its a list of the best leak detectors to consider buying for your smart home. Smart Home Shades: Great Idea, If You've Got The Money: This will help you learn not only how smart shades work, but which ones to consider for your smart home system. Lutron Serena Review: Rewarding Smart Shade Control, After a Strenuous Install, one of the best smart shades on the market. Installing smart plugs and switches: Your complete guide: here is a buying guide for you to use if looking for a smart plug, outlet or wall switch. Your Smart Appliance May Not be That Smart, Yet: With connectivity coming to appliances, here are insights on what you need to know before you buy one of these new connected appliances. Is Your Smart TV Smart Enough To Run Your Home? It Will Be: Our TVs are growing smarter each day but is that a good thing? Does it really matter? This article will help you understand how smart televisions work and the benefits they offer. Smart Home & Appliances Offer Big Opportunities But Consumers Need Education: good article on what's coming and what you need to know about smart appliances. New 2018 Amazon Echo Dot vs 2016 Echo Dot: Should you upgrade? Not sure if you should upgrade from an old Echo Dot to a new one? This article will provide you with enough information to help you decide which Echo Dot is right for your smart home. New 2018 Amazon Echo Plus vs 2017 Echo Plus: Should you upgrade? 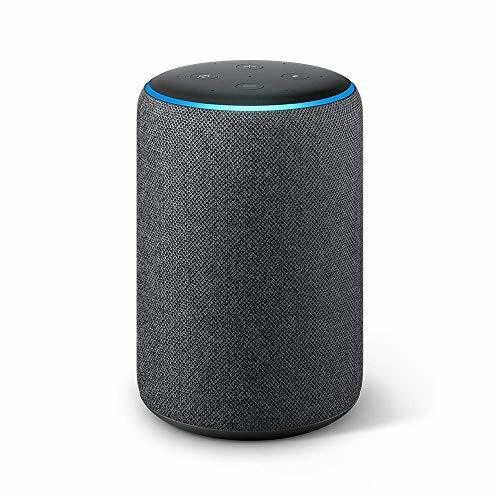 This article will help you see the differences between Amazon Echo Plus 2018 and 2017 versions which you can use to determine if you should upgrade. How to set up a second Amazon Echo - and why your smart home should have more than one - Want to learn how to setup your Amazon Echos to talk to one another? This article will show you how and the benefits for connecting multiple Amazon Echos. Amazon Echo: Best AI Digital Assistant For Any Smart Home. - good review on Amazon's first smart speaker. Amazon unveils a new $99 Echo plus other Alexa goodies at surprise event - an update on the new Amazon Echo as well as the other new devices Amazon launched which you can control using Amazon Alexa. Review Amazon Echo Dot: Echo's Little Brother with A Lot of Skills - good review on the Echo's little brother. What are Amazon Alexa Skills? - Do you know what Alexa Skills are? This article will help you learn what are skills and how you can find the ones you need to help run your smart home. We ♥ Alexa - an article with examples of the commands you can give to Amazon Alexa. Alexa has a new playmate, Cortana - a look at Microsoft's voice activated systems, Cortana. Apple launches HomePod, a Sonos-looking device meant to take on Amazon Echo - information on Apple's smart speaker or digital assistant, HomePod. Google Home Mini smart speaker arrives to take on Amazon Echo Dot - a look at Google's new smart speaker, Google Home Mini and how it compares to Amazon's Echo Dot. 8 Ways Google will supercharge your smart home with new Home and Assistant features - an article with 8 ways you can use Google's new Google Home and their voice activation platform, Google Assistant. The Google Home starter kit: 6 Google Assistant devices to kickstart your smart home: this will show you which are the best smart devices to get to build a smart home using Google Home. We hope this is helpful and prepares you for the next phase in the building of your smart home. Even though many of the new connected devices coming on to the smart home market might not be ready for prime time, we are very bullish on the market outlook. As more consumers understand how all these new devices work and determine which ones are right for them, we expect to see a big increase in adoption. We look forward to joining you on your new journey in building the right smart home for you.